The next book in my highly popular and award-winning Realm series contains several Jewish characters. When I started writing A Touch of Love, I was most concerned with portraying the Jewish population as it really occurred at the time. I spent countless hours in research, even setting several of my Jewish friends to the task of finding me volumes not readily available. Georgette Heyer’s Jewish characters were often criticized as too stereotypical. Therefore, I meant to avoid that issue. Each of the books in this series addresses a different issue: family abuse, religious sects, anorexia, etc. A Touch of Love addresses issues of “prejudice” in Regency England among social classes and religions. In my Introductory Post, I told all of you lovely readers that I was working on the first book in my series about 4 best friends living, loving, and working in New York City. Well, I am happy to report that I have a draft and I am in the process of editing/polishing/revising so that it will be fit for human consumption and to see the light of day. It’s slow going, and a very agonizing process. Most days I want to tear my hair out, and I’m convinced there’s not even a hundred words worth salvaging. But that’s not what I’m here to talk about today with you fine folks. For some writers it’s the bane of their existence. For others it’s a beautiful way to procrastinate yet still feel productive. For the historical novelist, it’s essential. 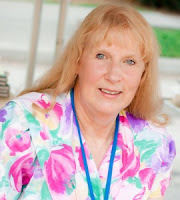 If your Regency romance or Medieval mystery sounds like it could be set in southern Texas or northern Australia, your readers will ditch your book for one with more authenticity. Many a Regency romance ends with a great society wedding at St. George’s in Hanover Square…but how much do you know about the famed church? The Parish Church of St. George was completed in what year? Answer: C St. George’s was part of the Fifty New Churches Act passed in 1711, but wasn’t until 1720 that a location was approved and a design was chosen. The first stone was laid in 1721 and the building was certified complete on March 20, 1725. Three days later it was consecrated by the Bishop of London. What denomination is St. George’s? Answer: B St. George’s is an Anglican (Church of England) church, part of the Diocese of London. It is the parish church of Mayfair. Which American president was married at St. George’s? Answer: A Teddy Roosevelt married his childhood sweetheart Edith Kermit Carow in 1886. He took a room at Brown’s Hotel in Dover Street to meet the residency requirement, and remains the only American president to be married at St. George’s. His wedding also inspired many other Americans to marry at the church. According to tradition, St. George was a native of Asia Minor. When did he become the patron saint of England? Answer: C A vision of St. George (along with St. Demetrius) spurred on the Norman troops at the battle of Antioch during the First Crusade in 1098. The Normans won the battle, and adopted St. George as their patron. Which famous composer was a regular worshiper at St. George’s? Answer: A George Friderick Handel emigrated to London from his native Germany in 1724, purchasing a house in Brook Street just as the church was nearing completion. His opinion was sought on the suitability of the organ when it was being installed, and he provided the music for the testing of candidates to play it. In 1726 he became a naturalized British citizen, attending services at St. George’s until he died in 1759. So how did you do? What fact surprised you most? As promised, here’s a post about researching clothing for my Nelson’s Tea series! Woot! Clothing is something most of us take for granted, unless you are a fashion maven, right? (Or my oldest daughter who graduated with a Fashion Design major.) Most people get up every morning, throw on a robe, take a shower and, depending upon the day job, a wardrobe is selected for the day with little or no thought. All anyone really has to do is match color, comfort, and style. Well, unless little fashion sense has been inherited. Stay-at-home writers, on the other hand, have it easy. Pajamas, sweat pants, and comfy tops keep a writer happy. And if a pirate crew desires expertise, anything goes. I ask you, aren’t pirates the bomb? So let’s take a look at the eras behind us, shall we? Medieval clothing, rich in color and design, served many purposes, mainly to protect the body and keep it warm. Georgian fashion exhibited tremendous innovation of line, using squared shapes and tall wigs to achieve an air of sophistication. But complexions were powdered, and wigs were popular, in some instances to conceal small pox scars. Victorian styles, with bustles and modernized corsets, flaunted a woman’s physical form to perfection even though society had grown more severe. Both eras showcase women as beauties but it was that tiny snippet of time in between, the Regency era, which stands out in my mind. During the Regency, fashions tempered the far-out shapes of the Georgian era and became the precursor for Victorian models. Via empire waistlines, straight skirts leaving little to the imagination, and a gentle sense of delicacy in bodices which dipped low, the silent extravagance sculpted a focus upon the woman, rather than the style. It was a time of elegance, quiet beauty magnified by subtle hues of the purest white. Satins, silks, gauze, linens and cotton framed a woman’s form. Embroidery, Irish lace, detailed shawls, the finest kid gloves and boots, intricate fans, and beautifully arranged ribbons on garments and hats accentuated the simplicity of style but drew attention to a woman’s face. Beautiful gowns were trimmed and dainty kid gloves and satin slippers completed the ensemble. Chemises, corsets, pelisses, and Spencers, and hats of every persuasion, shape, and form were created. Fans that spoke a language of love, gossip, and promiscuity were fluttered at every social affair. Hair combs were carved from ivory and wood. Satins, linen, silk, and gauze, were cherished additions to a woman’s trousseau, though silk was difficult to wash and therefore rare. Men paid attention to detail too. Even before Beau Brummell, men employed servants to help them with their daily garments. Stocks, cravats, wrist cuffs, properly fitted frock coats, breeches and stockings seemed simple enough. But it took a skilled man to tie his cravat in such a way to exhibit the style and fashion sense appropriate to advertise a gentleman’s brilliance. Even Almack’s refused to allow men within the premises if they weren’t properly attired. Hand carved canes, great coats, top hats, quizzing glasses, pocket watches, snuff boxes and pipes were a gentleman’s accoutrements. And if a man had a well-dressed woman from a proper family on his arm— all the better. Keeping this in mind, I had to do a lot of research to write my books in the Nelson’s Tea series. Not only did I need to discover what a Regency woman wore, and how she behaved, I had to investigate titled gentlemen, pirates, house servants and ship mates, as well as Nelson’s navy and naval uniforms. Correctly sculpting a character means keeping a reader invested in the story. But it also means more than that. Think of Christopher Reeve in Somewhere in Time. The character had to cast away everything modern thing in order for his mind to take him back to the year 1912, the Edwardian era. He succeeded in going back in time, only to discover a 1979 penny in his pocket, which reeled him back to the present. This exemplifies what happens to a reader when they read any historical book, only to discover an element is out of place. “Bilge rats! It’s like trying to get this compass to point to what I want most,” Jack decries. So, my dearests, my advice on researching historical novels is, first, create the best characters who are bound and determined to find their HEA, even if they have to buy a 1912 ensemble and will themselves there! 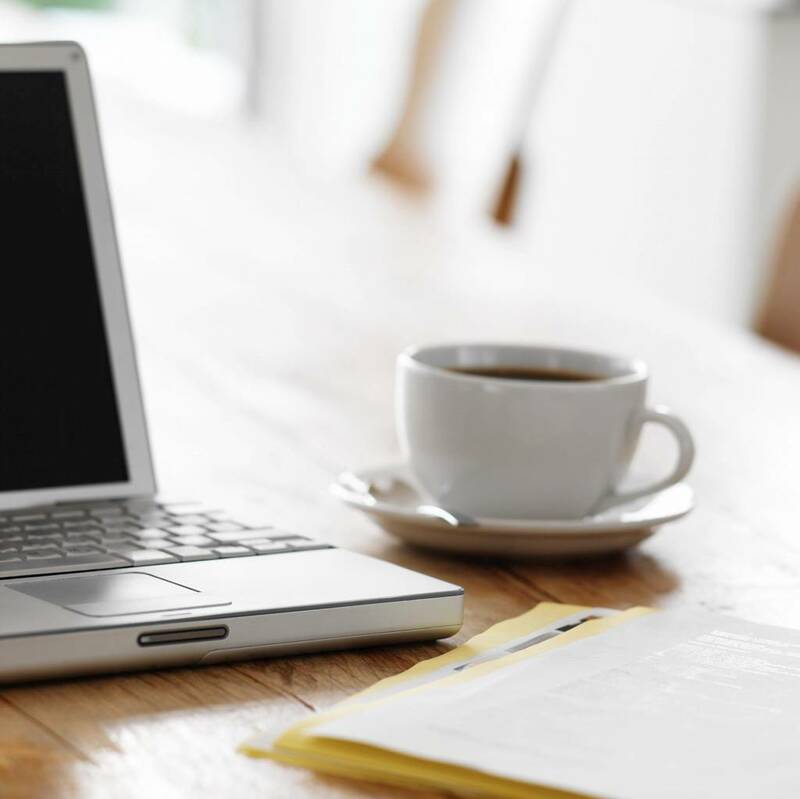 Wake up, stroll into the kitchen for that crisp aroma of coffee or steaming cup of hot tea and approach writing in comfort. Second, make sure your characters arrive properly attired and prepared not to draw the reader, or you, back to the present. If you can do these two things, you’ll be a great success in historical romance. What do you find to be the hardest part of research? Time? Finding the right source? And, if you could live in the Georgian, Regency or Victorian era, which one would you choose? Shiver me timbers! Thanksgiving is just days away. I was going to blog about costuming my characters in historical romance but decided not to regale you with tales of my crew, me hearties. I’ll save that blog for another time. Because ‘tis time to plunge into extravagant table settings. 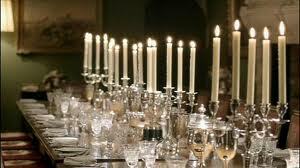 Yes, the Georgian, Regency and Victorian era reigned supreme when it came to dinner parties. Isn’t that what Thanksgiving really is, one big partay for our mates? 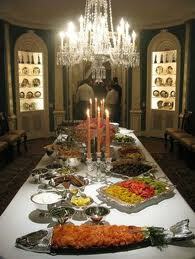 After all, there’s nothing better than setting out to amaze our guests with a properly prepared and presented feast. Just make sure any pirates milling about wash their hands. You never know where a pirate has been. Savvy? Throughout the Georgian, Regency and Victorian periods dining tables were laid out with suitably rich and succulent flare. Tabletops gleamed with elegantly draped tablecloths and delicate napkins. Bone china (Wedgwood, Crown Derby or Worcester) and crystal reflected light from polished brass candelabras topped with fiery candles. The goal, to put your guest at ease, was also achieved by adding demitasse cups and wine goblets to each place setting. Wine (Madeira, sherry and champagne) was like water in the day and it succeeded in relaxing many a tongue. Wives were simply not allowed to sit beside their husbands. (Proprieties must be observed at all times. Ergo, the reason no pirates were allowed.) Ladies were then shown to their seats while men hobnobbed before taking their chairs. An epergne (centerpiece of grapes, pineapples, peaches, apricots, or pyramid of plums), pleased the eye as the first course, fish and a tureen of soup, were eaten. Strawberries, raspberries, dried fruit and nuts were placed at table corners. And yes, there would even be cake, wafers and apple puffs too. Dishes were graded by color and texture. Six courses were served with precision. Oftentimes, there were as many as 25 dishes on the table at once. And I’m happy to announce that mustard was on every English table during this time. Such an extravagant affair lasted two hours until the hostess finally pronounced the ladies should retreat into another room whilst the gentlemen drank Madeira, port, and claret, and discussed politics or gambled for hours on end. Are you planning Thanksgiving dinner at your house? Whether you have servants at your disposal or not, break out the china and crystal. Engage in living the meal instead of eating to live. You may not have Oriental rugs, faded chintzes, Staffordshire dogs or leatherbound books as the article How to Capture the aura of ‘Downton Abbey’ by Laura K. Lloyd from the McClutchy News Service suggests. You may not live in a highborn English Manor House, but elegance is only a state of mind, me hearties. Savvy? Remember extravagance = lighting = candles. 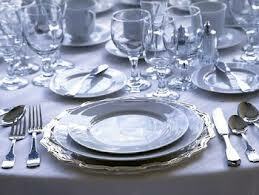 Elegant dining = linens, china, crystal and wine = relaxed tongues. Grab your lovers arm and walk arm in arm to dinner. Hold your head high like the toffs, highborn aristocrats, who celebrated every meal in style. Spice up your Thanksgiving with period etiquette and charm. 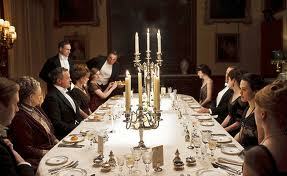 And if you’re interested in how you can become a toff, you can find ‘Downton Abbey’ replications of bedding, bath, furnishings, décor, apparel, and more at Knockout Licensing or check the modern comfort of CuriousSofa.com. What are your Thanksgiving plans? Do you have a feast in the making? How will you present your fare?